I dug around in my shop and came up with some heavy gauge solid wire that looked like it would work for the rest. An old piece of wire coat hanger would probably have done just as well. 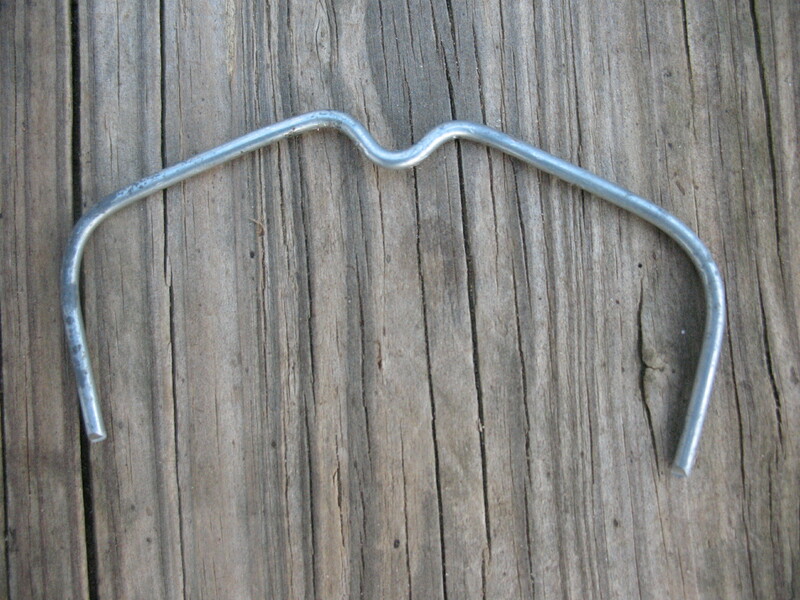 A few minutes work with some needle-nose pliers, and I had my arrow rest ready to attach. 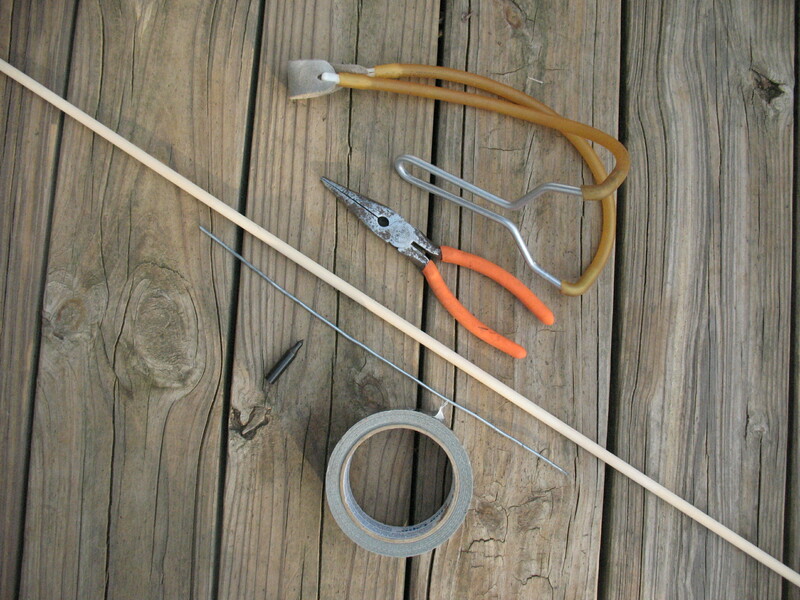 I bent a little dip in the center of the rest to hold the arrow shaft, and I bent down the ends of the rest so that I could attack them to the slingshot with a few good wraps of duct-tape. The main thing I was concerned with was positioning the arrow rest so that it would be the same height as the rubber-bands on the sling shot. This would help to aim the arrow more accurately, and avoid having the arrow leave the slingshot at a downward angle. 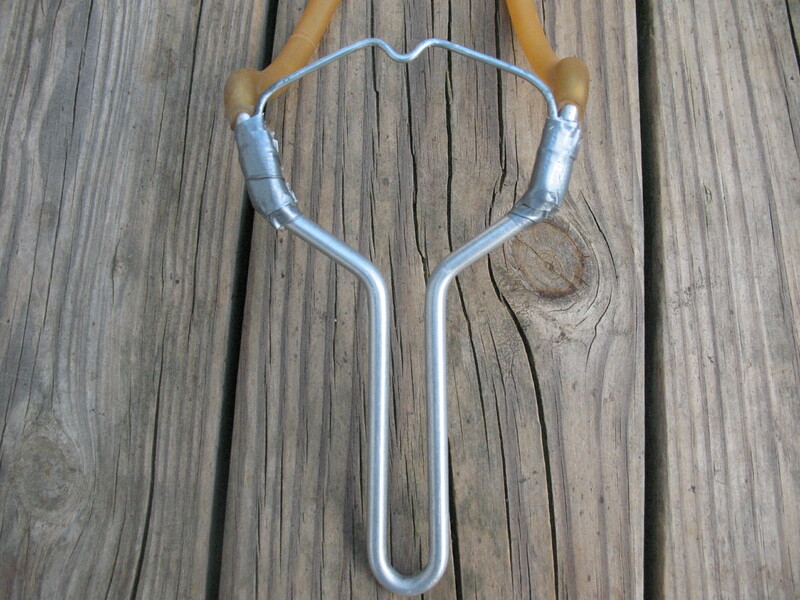 Pictured below: top, Wire bent to form arrow rest; middle, arrow rest held in position on slingshot; bottom, Arrow rest duct-taped into place. Now all I needed was an arrow. 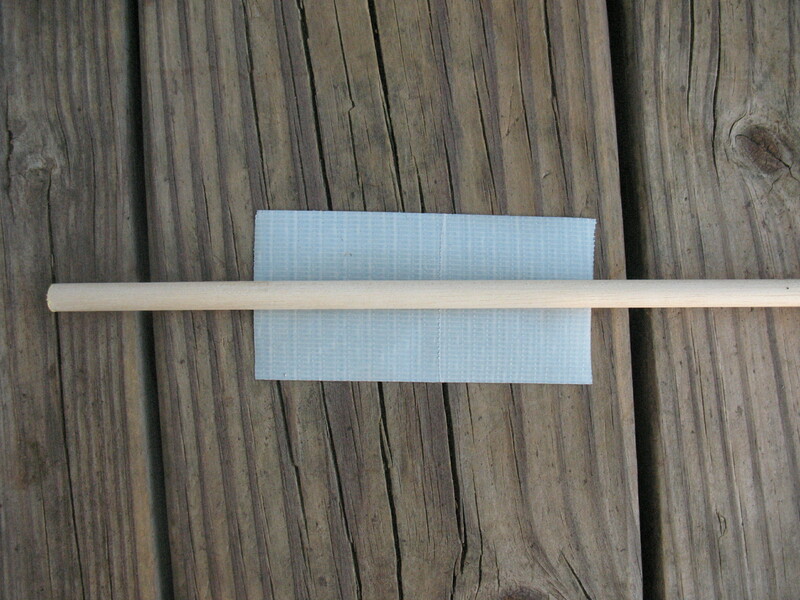 I used a 5/16″ dowel rod about 30″ long for the arrow shaft, and glued a metal field point on the tip. 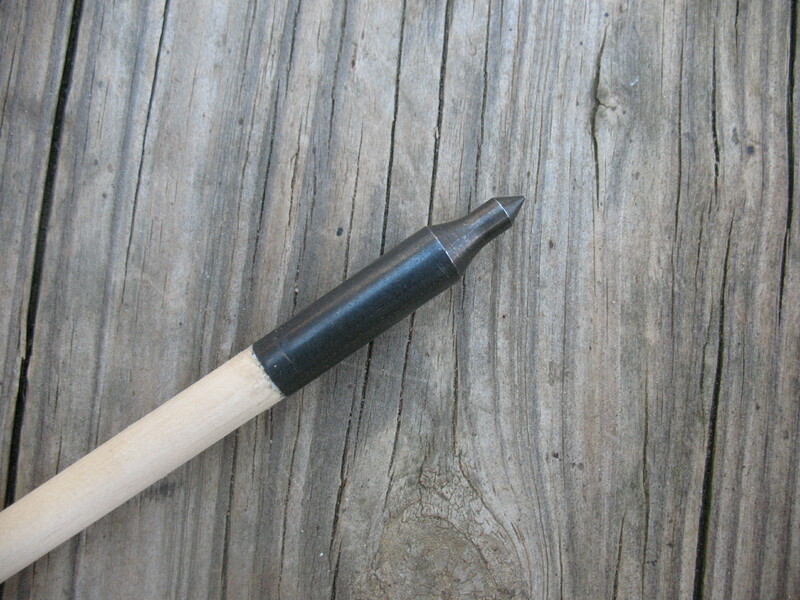 Pictured below: Field tip glued onto dowel rod arrow shaft. 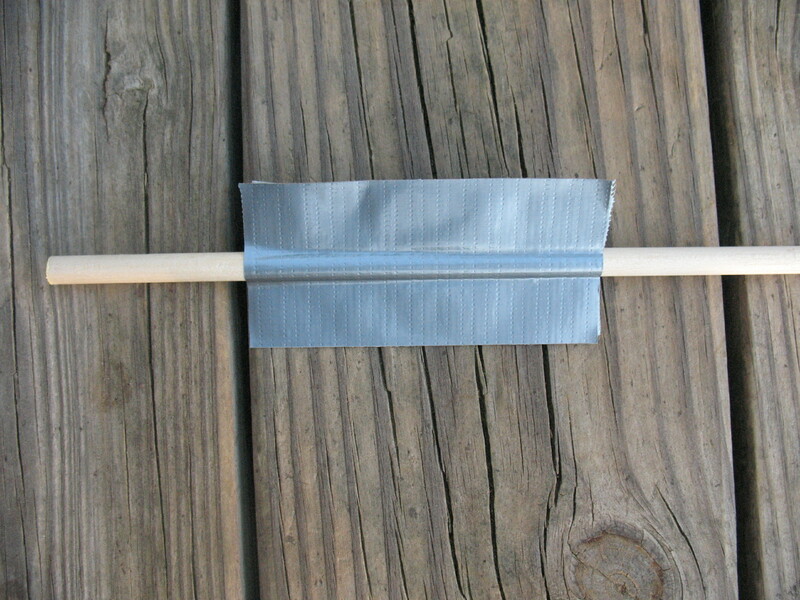 I made the arrow fletching by cutting a couple of pieces of duct-tape and pressed the duct tape together on opposite sides of the arrow shaft. Pictured below: top, first piece of duct tape in place; bottom, Second piece of duct tape in place. I took my new arrow shooter out back and did a little field test. It worked great. 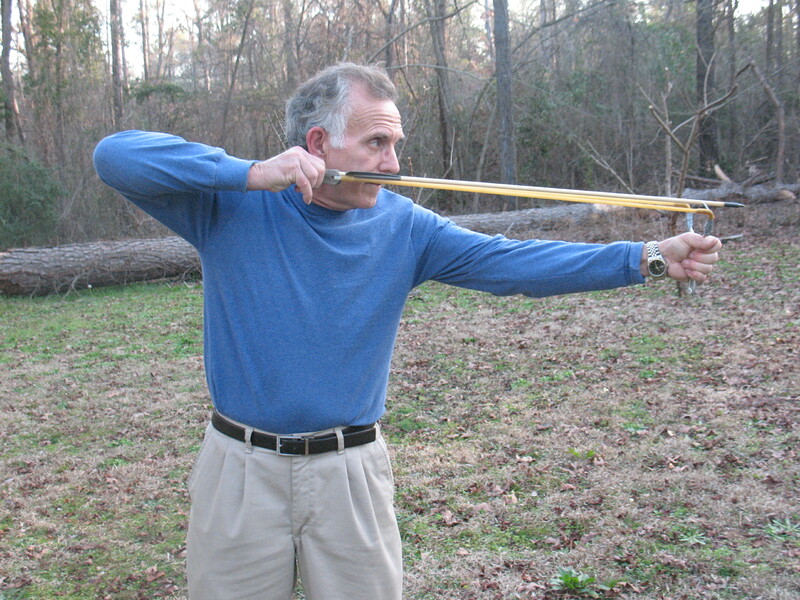 Pictured below: Shooting an arrow with my converted slingshot. I think with a little practice I should be able to bring down small game without any problem. 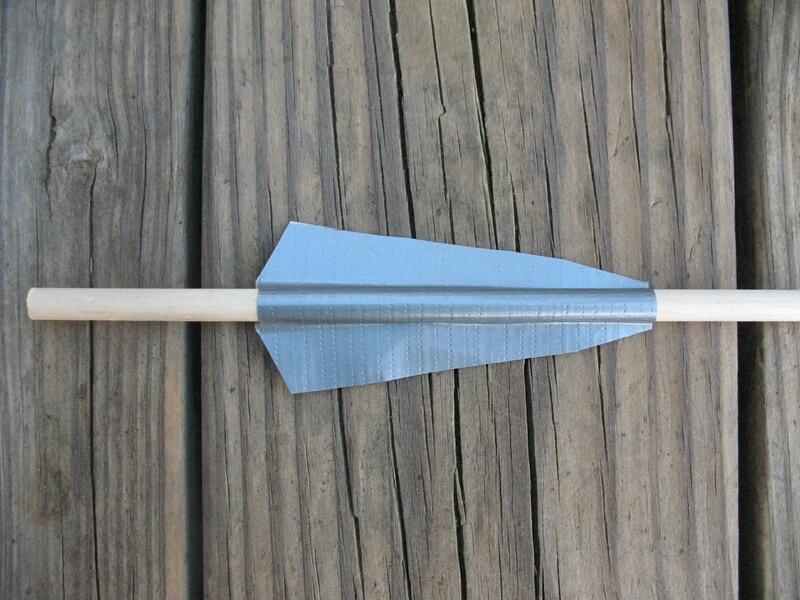 I will definitely stick this little arrow shooter in my bug-out-bag along with a couple of glue-on broadheads. 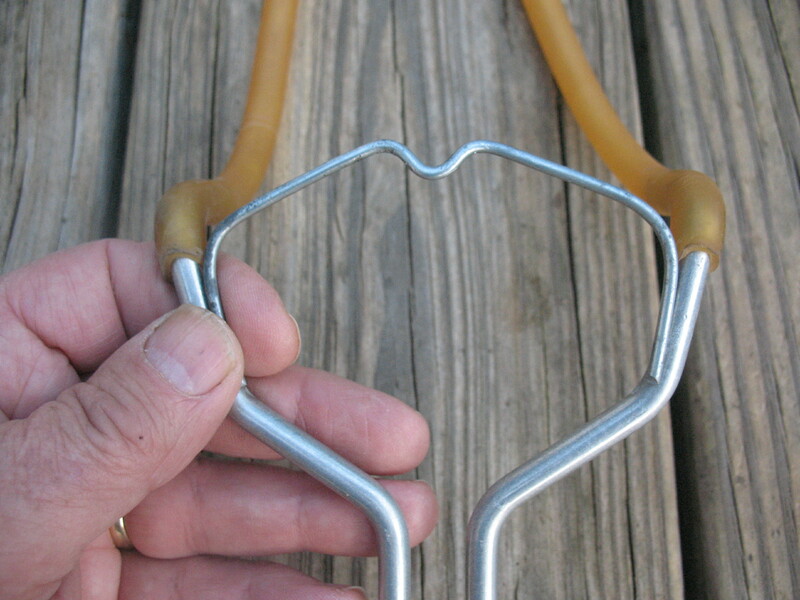 The slingshot doesn’t take up hardly any room, and it would be a simple matter to build a hunting arrow in the field.